The male sea lion was shot in the head. The carcass washed up on Hornby Island yesterday. Photo courtesy of Alan Fletcher. HORNBY ISLAND, B.C. 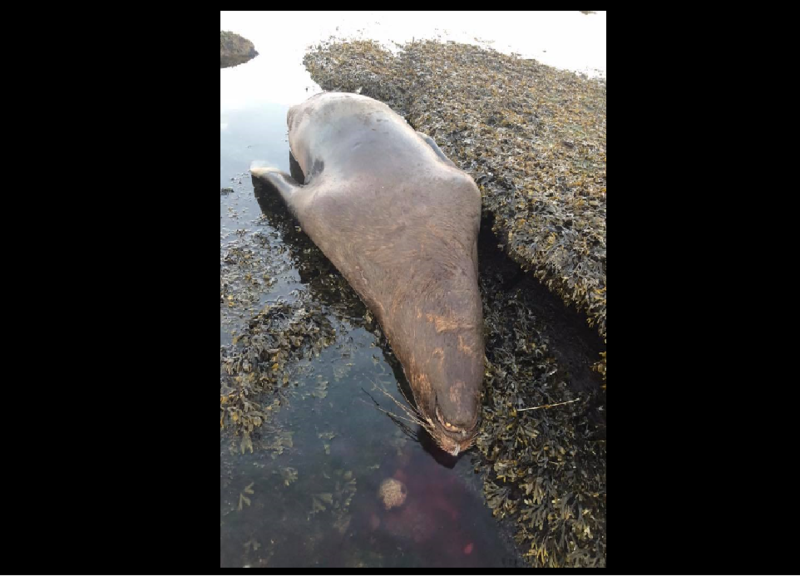 – A male sea lion shot in the head washed up on the shores of Hornby Island yesterday. According to a release from the Sea Shepherd Conservation Society, the sea lion was discovered during the roe herring fishery. “Specifically, it has been over-exploited and overfished for too long, with no respite for stocks to recover,” the group wrote in a post. The group is also calling for a moratorium on commercial roe herring fishery in the Strait of Georgia, so stocks can rebound. 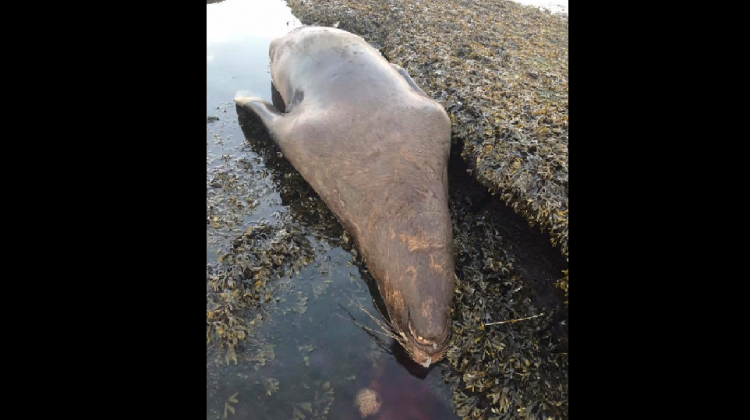 In an emailed statement, DFO have said it’s too early to say anything but that they received reports of the dead animal off the Strait of Georgia. Fishery officers are currently investigating the incident. The statement added that Section 7 of the Marine Mammal Regulations states that it is illegal to disturb, harm or kill marine mammals. Anyone who witnesses a possible contravention of the Marine Mammal Regulations is asked to contact their local fishery officer detachment or call 1-800-465-4336. This incident, as well as the group’s news release, comes two weeks after a herring fisherman threw a “bear banger” at a crowd of sea lions, also along the Strait of Georgia.